Here are ways you can Join the Conversation on Immigration in the U.S.! Join in on a Twitter Talk! Participants tweeted their responses @SitesConscience with the hashtag #NDIProject when they participated. Check back monthly for more Twitter Talks! 1-2 minutes. NO MORE than 2 minutes, NO LESS than 1 minute. 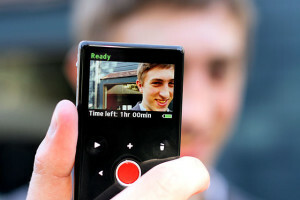 Can use a camera phone (iPhone preferred), iPad, laptop or video camera. America is a nation of immigrants. Most of us, at one point or another, have someone in our family or background who came here from another country (if not ourselves). With this in mind, what has your immigration experience been? Please send all submissions, in .mov, .avi, or .mp4 format (or a YouTube link) to: immigration@sitesofconscience.org. Email us to find out more information about the NDI project, program models, or if you just have a question about the site at immigration@sitesofconscience.org.